Gain time and make the best possible marketing decisions thanks to E-commerce analytics. Take control of your data. Managing your e-commerce site has never been so simple. 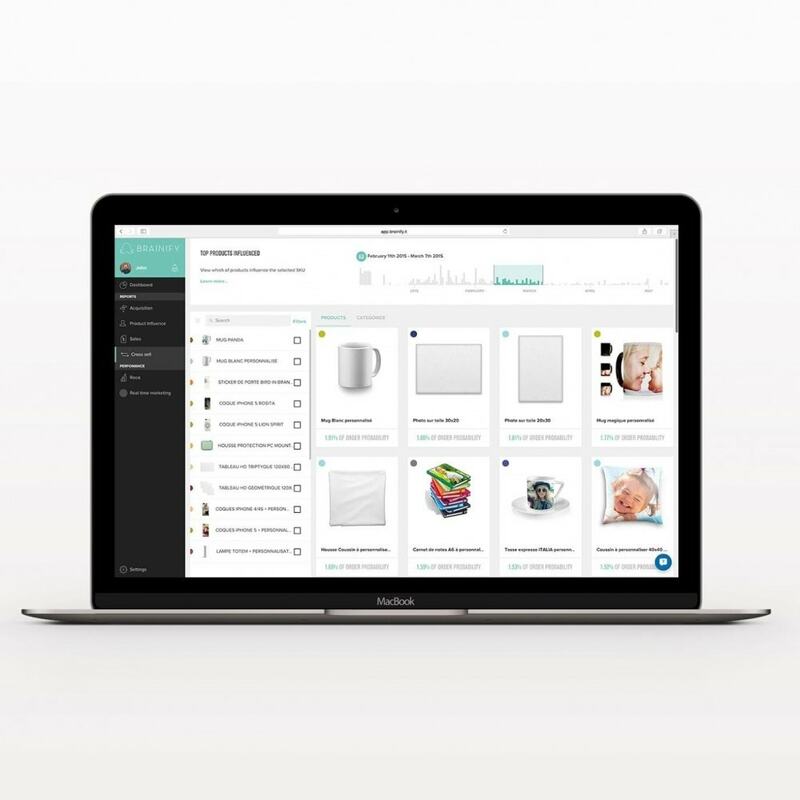 Brainify Free Dashboard focuses on the key elements of the online sale cycle and summarises this strategic data in the form of an array of dashboards. 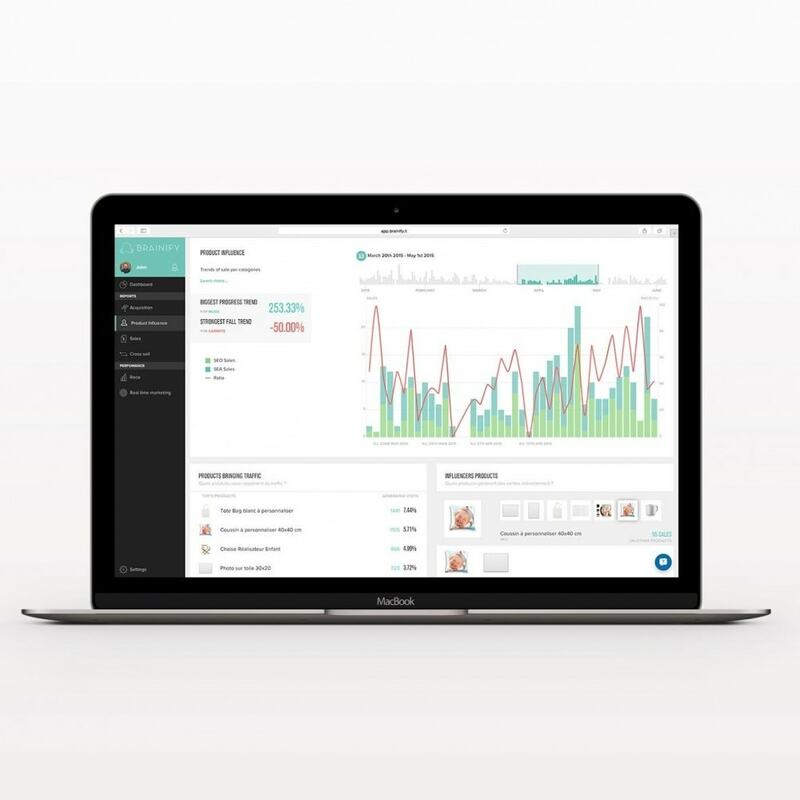 At each key step in your selling cycle you will be guided by a beautifully designed dashboard, summarising the essential data. Don’t miss an important event and gain time by leaving Brainify to summarise the most important elements of your commercial strategy. Don’t let the secrets of your data pass you by damaging your daily turnover. Receive suggestions of performance enhancing tools to improve your performance. 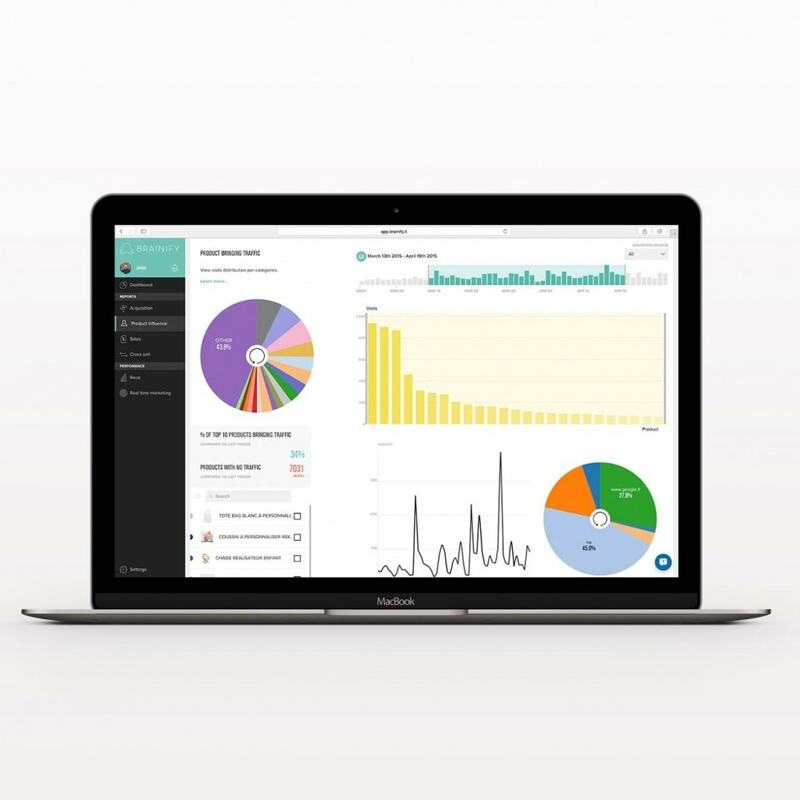 Take control of your e-business and join the e commerce republic thanks to free e-commerce analytics. The magic is in your data, it becomes a toy to help you to act more quickly by enabling a simple and efficient understanding. A navigation centre simplified to take the pulse of your e-commerce in seconds and enable you to re-act accordingly. A strategic summary of your e-commerce activity in the form of 5 complementary overviews. Quickly take decisions without wasting time collecting, organising and analysing abstract data. Client : CLTV, cohorts. Attract clients at the right time and gain their loyalty. Cross sell : Increase the average the amount of the shopping basket, improve profit margin, discover the form of your best cross sell and propose the best performing products. Known to and developed by e commerce professionals aiming to make big data accessible to all e commerce merchants. Our team is passionate and will be here to listen to you in order to make Brainify analytics even better! Your clients will thank you because you will have more time to spend on them. Make your webmarketing analysis and operational decisions quicker, like this everyone is happy. The module is already develoed and ready to use for versions 1.5 /1.6 / 1.7 of your Back Office. Create professional sales, tax, profit and profit margin reports in HTML format or export as a CSV / Excel file.